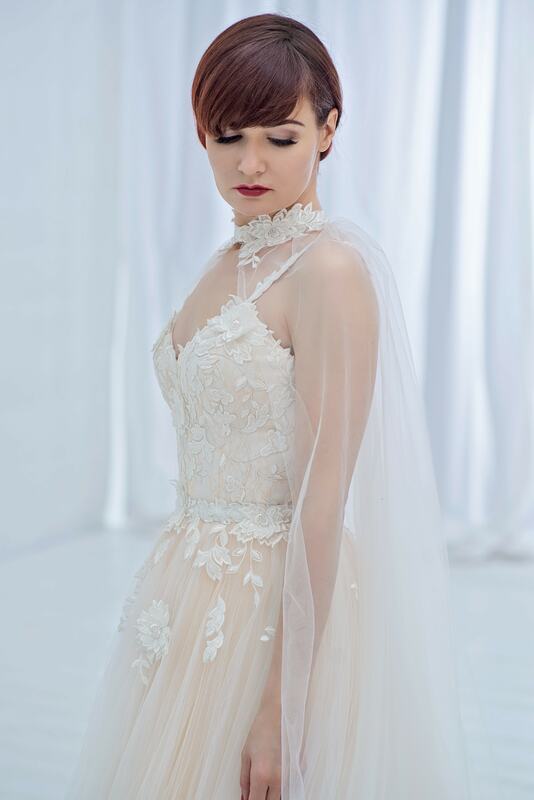 While we designed this veil alternative to be worn with our Dahlia dress we feel this would go with nearly any wedding dress out there. 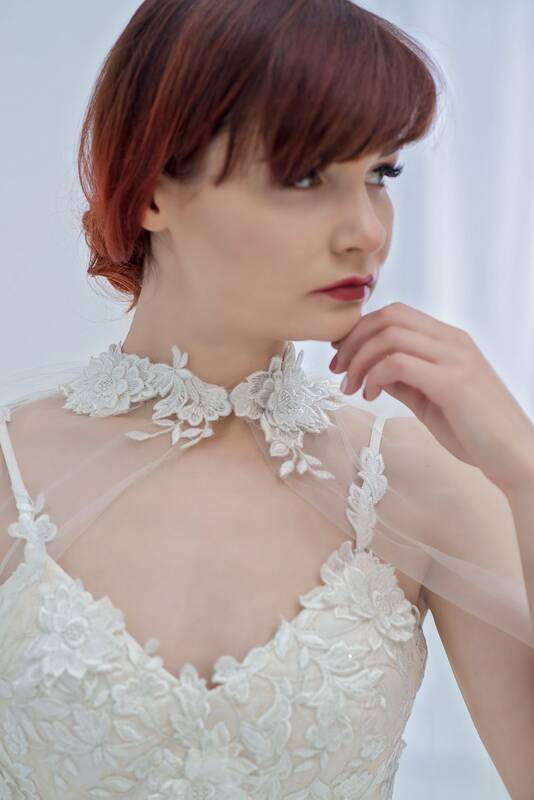 It's very sheer, with just one one layer of ivory italian tulle, and the neckline embroidery of organically placed flowers is very subtle. 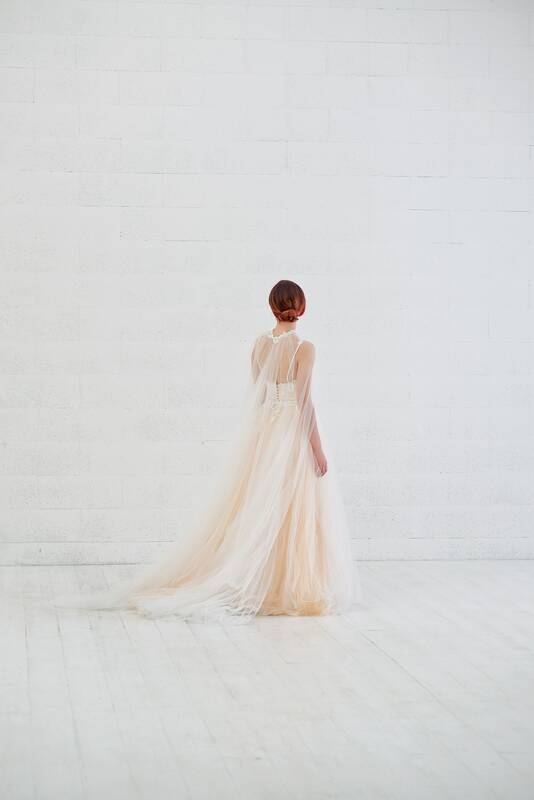 Perfect for any bride not wanting to wear a traditional veil on the date, but wanting to definitely make a statement - that's what wedding capes are for! 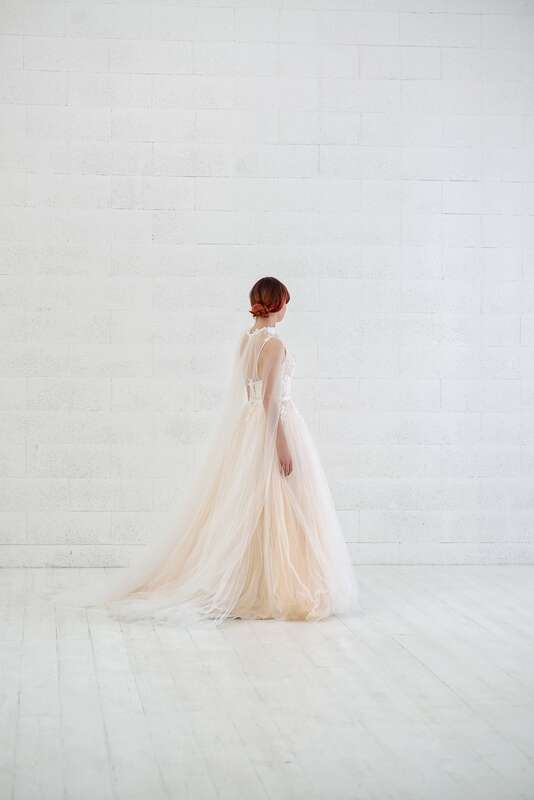 Flowers are only available in ivory, but the tulle layer or just it's bottom can be dyed (just don't expect to see much of a color pop as it's just one layer of very soft and sheer tulle, but yes, we can do it). We would need your neck circumference and your nape to floor in order to make this perfectly fitting for you.